One of my BFF’s was over for supper on Saturday evening for a way overdue catch-up (Hi I!) and I remembered to ask him about a movie his boys used to watch when they about the ages our kids are now, a good few years ago. The movie is called Spirit and his boys used to get all excited and shout “Spirit! Spirit!” when they watched it and it was very endearing. Etienne managed to find the movie and the kids have watched bits of it over the last couple of days. Last night we got to the bit where one of the horses gets seriously hurt (I don’t want to give away the story) and the kids were all mesmerised, I have never seen anything like it. Mignon’s literally didn’t blink so desperate was she not to miss anything. Daniel got very upset when the horse was hurt. So much so that he cried. Our softhearted boy was very upset by this horse, poor guy. 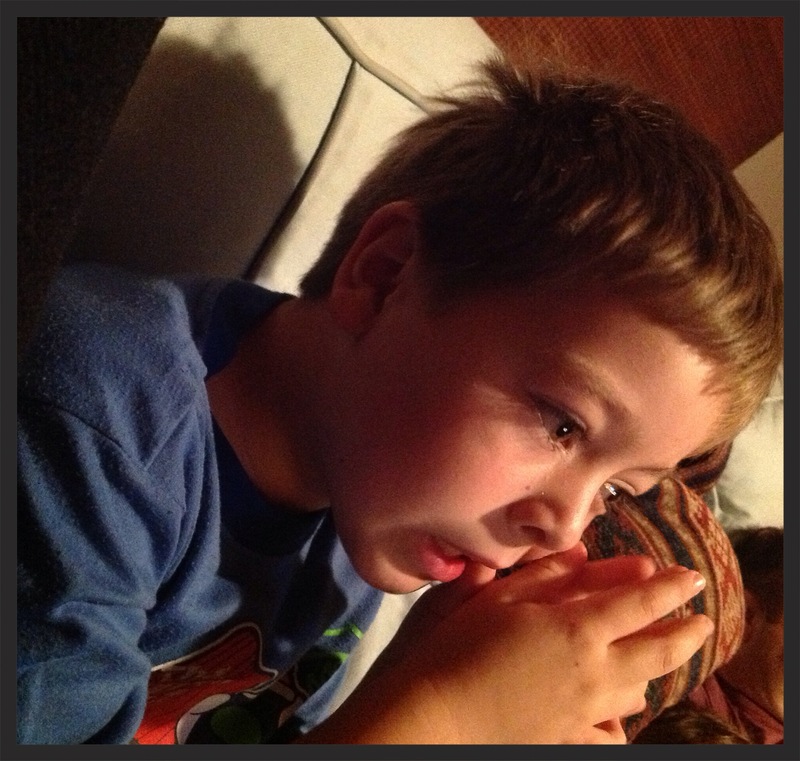 He was fine 2 minutes later, but this was the first time a movie made him cry. This is clearly my child as i cry at the drop of a hat. In fact, just this weekend (Camilla was it you?) posted this beautiful clip of Michael Buble on Facebook that was so beautiful it made me cry. I must confess, I’m not a big Michael Buble fan, but this blew me away. Lastly: Daniel is clearly not just MY child, but also Etienne’s. We found him fast asleep last night, on the coldest night of the year so far, with a pair of shorts and no top as he had taken his winter pj’s off. Etienne wears plakkies in winter when he is cold. Clearly his Father’s child.